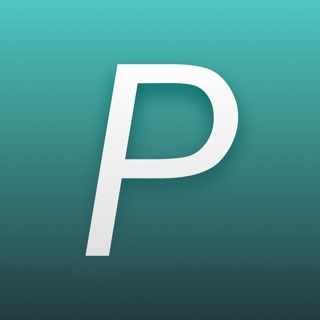 iPic could automatically upload images & files, and then save Markdown links. - Upload images by drag & drop. 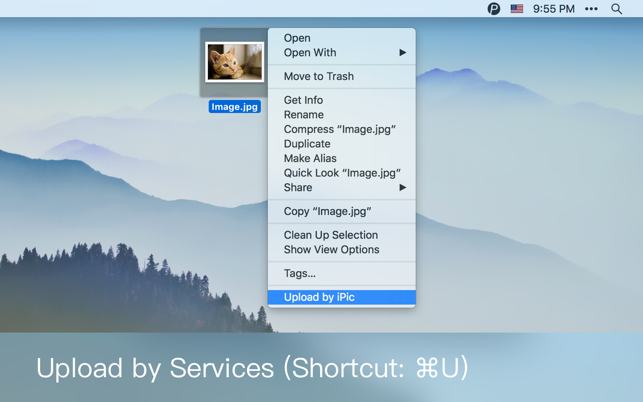 - Upload images by services with shortcut [Command + U]. 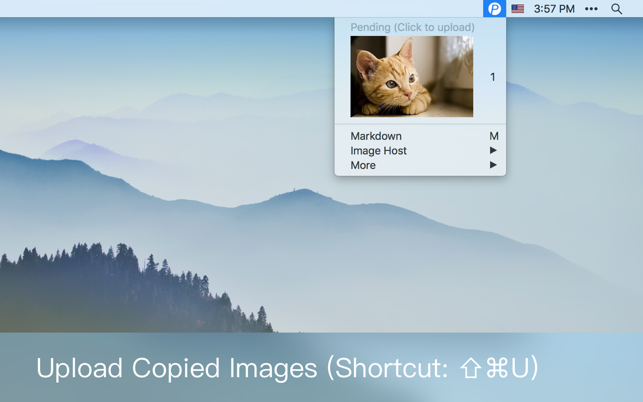 - Upload copied images with shortcut [Shift + Command + U]. 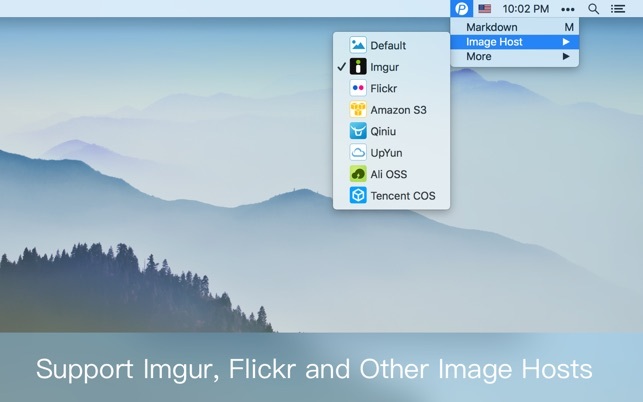 - Support Imgur, Flickr, Amazon S3 and other cloud storage. 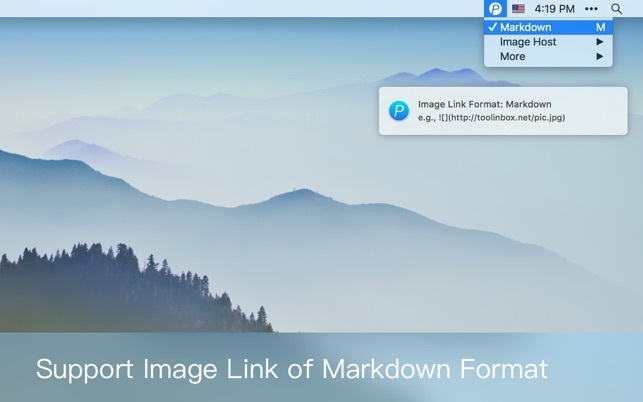 - Support image link of Markdown format. - Compress images before upload. 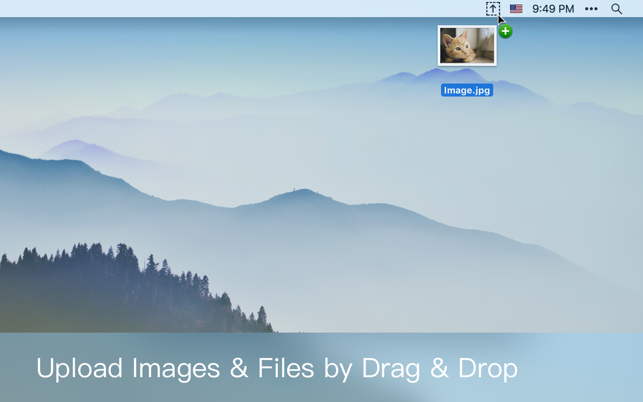 Beside images, you can also upload files to Amazon S3 and other cloud storage. All features are free with default image host. To use other cloud storage, just subscribe iPic Pro. * Price may vary by location ($0.99 monthly, $9.99 annually). Subscriptions will be charged to your credit card through your iTunes account. Your subscription will automatically renew unless canceled at least 24 hours before the end of the current period. You will not be able to cancel the subscription once activated. After purchase, manage your subscriptions in App Store Account Settings. Any unused portion of a free trial period, will be forfeited when the user purchases a subscription. - Support Mojave Dark Mode. - Upload files to Amazon S3 and other cloud storage.